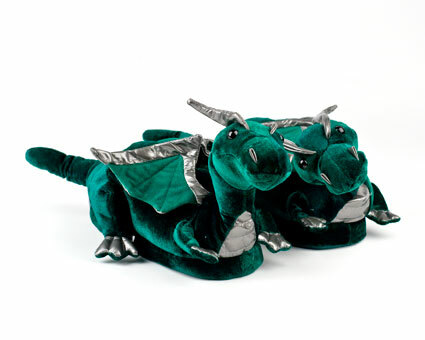 Soar into clouds of comfort with these adorable Green Dragon animal slippers. 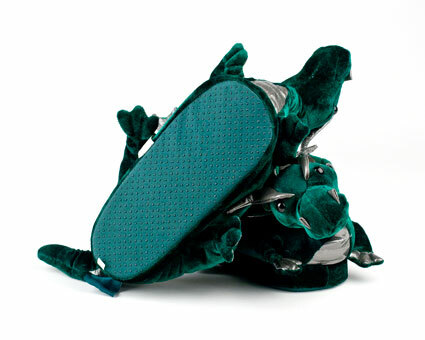 The plush polyester fibers and one-inch high density foam will keep your feet warm and toasty, while the durable outer sole and reinforced stitching means these slippers will last. 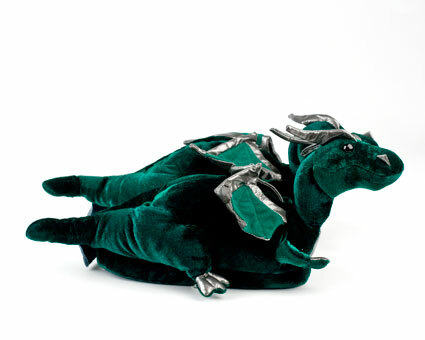 These dragon wings are adorned with silver trim. 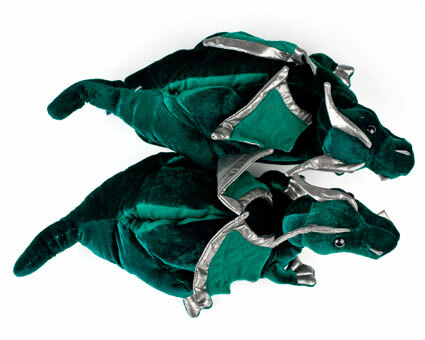 The Green Dragon animal slippers come in four sizes, ensuring a comfortable fit for every member of the weir. 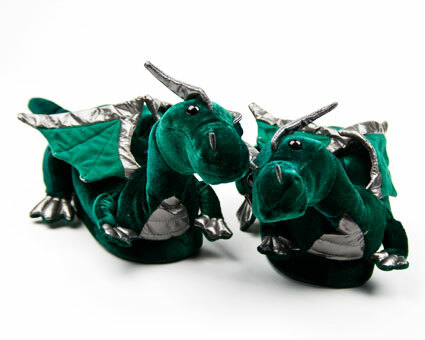 Terrific slippers for my granddaughter who is a real fan of dragons! I'm sure she'll love them! Advantages: Great 3D details and fabrics used. Will fit her feet now at size1 and hopefully for a while since the single child size fits size13-5. The slippers are good quality and exactly how they were advertised. I am extremely pleased and I know my child will love these!! 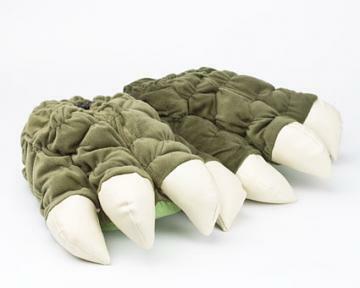 dragon slippers look great. love the color.my daughter will be thrilled with them. Disadvantages: neck of dragon could be stiffer. It tends to fold over. These are so adorable! My little nephew not only loved them, but wears them all the time! Can't wait to purchase some other ones for him to wear. 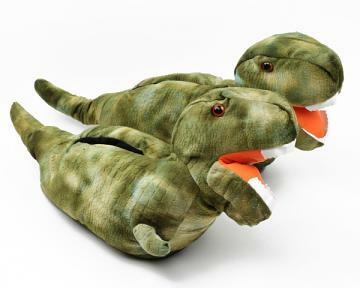 I ordered two pairs the dragon slippers and one pair of the ladybug slippers for gifts. They were exactly as described! I was surprised how comfortable that were. The craftsmanship was excellent! 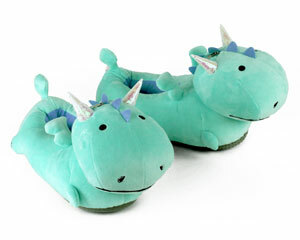 Cute dragon slippers, I’m sure my niece will love them! Disadvantages: The only comment I have would be to stuff the “necks” better so that the heads stand up straighter. Awesome and comfy.. Winter is coming. Lol really, actually really happy with my purchase. Disadvantages: See above. Lol. None really.